Potts, Levenson, Artis, Brillhart & Skinner (Silver Spring) - Book Appointment Online! The providers of Capital Women's Care seek the highest quality medical and ethical standard in an environment that nurtures the spirit of caring for every woman. 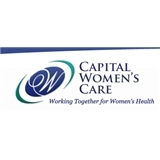 The Capital Women's Care network enables rapid coordination with specialists to address your individual medical needs, including second opinions, oncology services, high risk pregnancy care, ultrasounds and surgical procedures. I have been seeing the same gyn for a couple of decades, had to change insurance and locations, and so this was my first visit with Dr. Skinner. I made a terrific choice. She is warm, easy to talk to, and very comprehensive in her exam. I think she learned more about me in our first visit than many docs I have been seeing for years. We had a long visit and a great conversation and I appreciated that she worked through some medication issues with me. She's a good listener. The office staff was lovely. I highly recommend this wonderful doc! Dr Artis and front staff were very kind. The doctor was kind and efficient. I didn't feel rushed, and she gave me some good advice and a prescription, both of which will probably be very helpful. Dr. Brillhart is AMAZING ! professional, caring,kind,positive,supportive,kwnolegable,amazing presence, you really feel not only important for her to treat you , but cheer you up,aducate ,suggest and follow stuff you need. Nice , friendly,helpful front desk. I left Dr.Brillhart office uplifted ,feeling lucky , now I have Caring gynecologist to go to. I highly recommend Dr.Brillhart to my friends and family ! Amazing!! Love her approach. Very professional and caring.